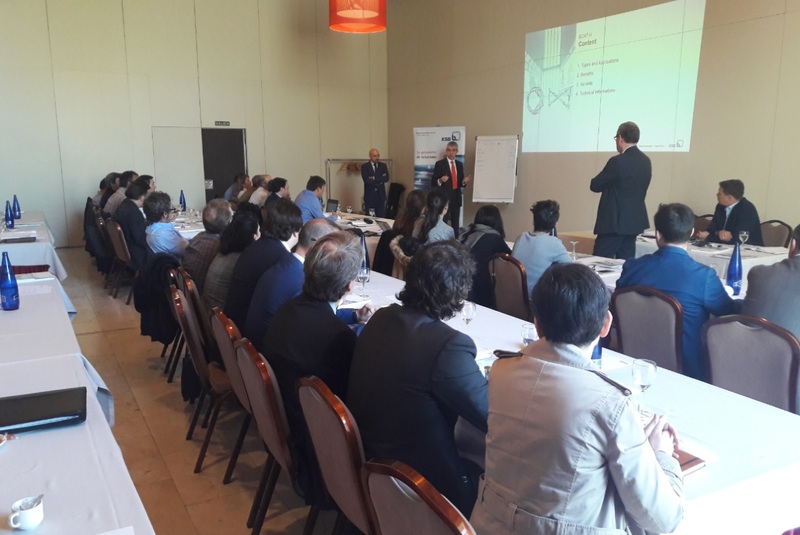 On April 17th, GRUPO CUÑADO received the visit in our facilities of our partner KSB, who made a technical training to our inside and outside technical sales team, focusing on the full range of GLOBE VALVES and BELLOW GLOBE VALVES, being GRUPO CUÑADO their official distributor. We are also the official KSB distributor for the entire range of DIAPHRAGM KSB-SISTO valves. From GRUPO CUÑADO, we want to thank the Spanish KSB team and the Product Managers arrived from Germany, all of whom have moved to our facilities to support us in this initiative.